01 March 2019 (Toronto, ON) - The Best Of Everything, the first career-spanning collection of Tom Petty’s hits—including songs from his solo projects, songs with The Heartbreakers, as well as essentials from the reformed Mudcrutch—is out today via via Geffen Records/Ume/Universal Music Canada, the country’s leading music company. Listen to the album HERE. 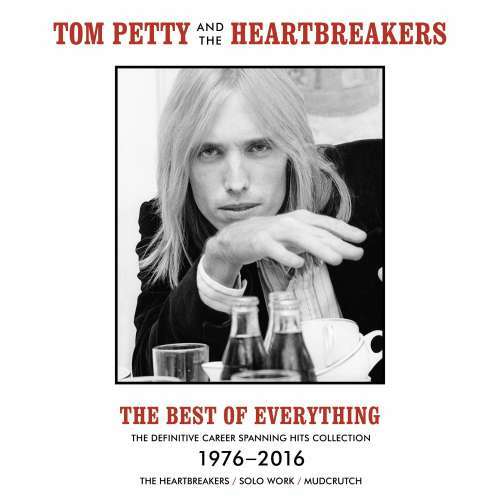 Moreover, Petty’s solo album Full Moon Fever has been inducted into the Grammy Hall of Fame. The album is five times Platinum in the U.S., six times Platinum in Canada and celebrates its 30th anniversary this April. Full Moon Fever features “Free Fallin’”, “I Won’t Back Down” and “Runnin’ Down A Dream”, all of which are on The Best Of Everything.